National award winning painter Paresh Maity is thrusting contemporary art forward with his enormous creations. We met the affable artist at Art E’ Fair 2017 and talked with him about his work, his thoughts and his upcoming solo exhibition in Ahmedabad next year, his first in the Heritage City. We find out what inspires him. 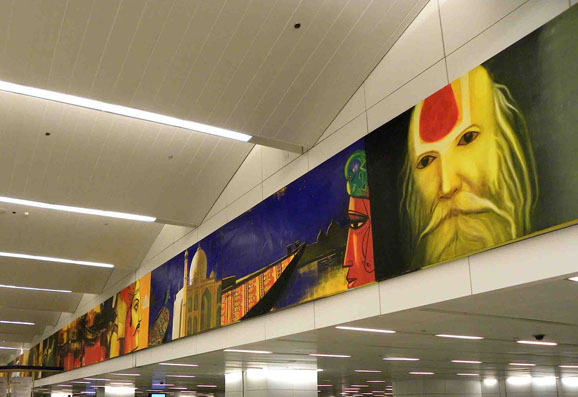 You’ve got to be unimaginably oblivious to overlook the 850-feet long mammoth painting titled ‘The Indian Odyssey’ – probably the largest in India – that adorns the walls of the New Delhi International Airport. The painting depicts the enormity of Bengali artist Paresh Maity’s imagination and disciplinary dedication towards developing marathon artworks. A Delhi College of Fine Arts product, Maity’s professional bag brims over with more than 80 solo shows to his name. 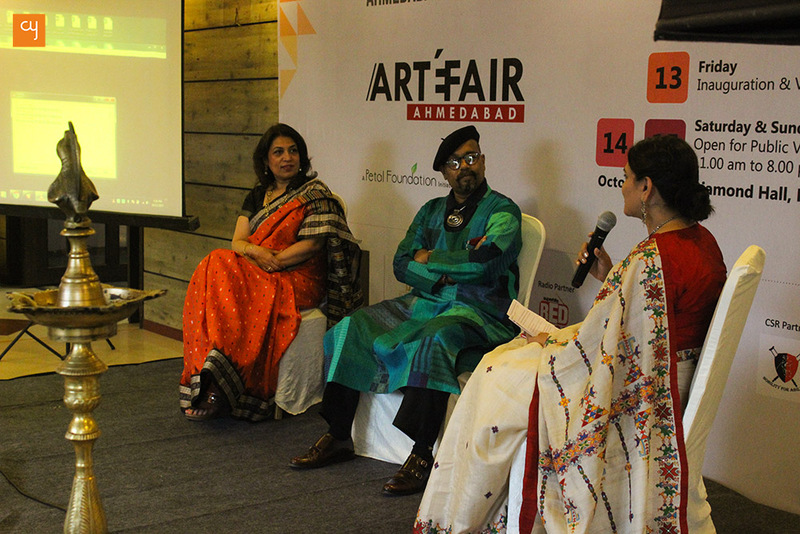 We encountered him at the Art-e-Fair trade event in Ahmedabad, in accompaniment with Sunaina Anand, the Director of Delhi’s Art Alive Gallery. The artist’s art philosophy expresses joy, harmony, closeness and intimacy. 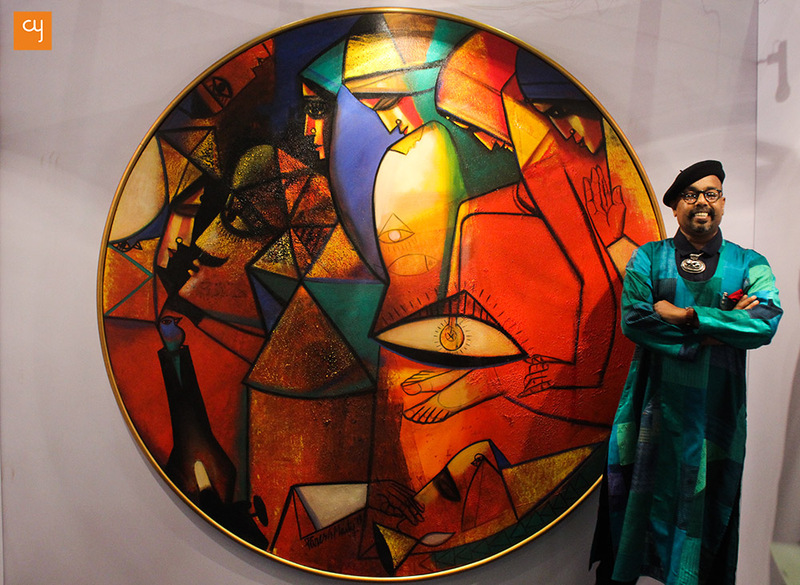 An example of this was showcased at the Art-e-Fair exhibition in the form of a spherical artwork that showcased cubist human forms geometrically enveloped in shades of vibrancy. 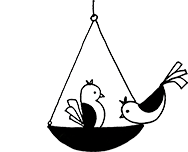 “This work explains the Cycle of Life – how a human is born as a child, grows as a man, and eventually turns into an elderly being who, anew, becomes a child from within. 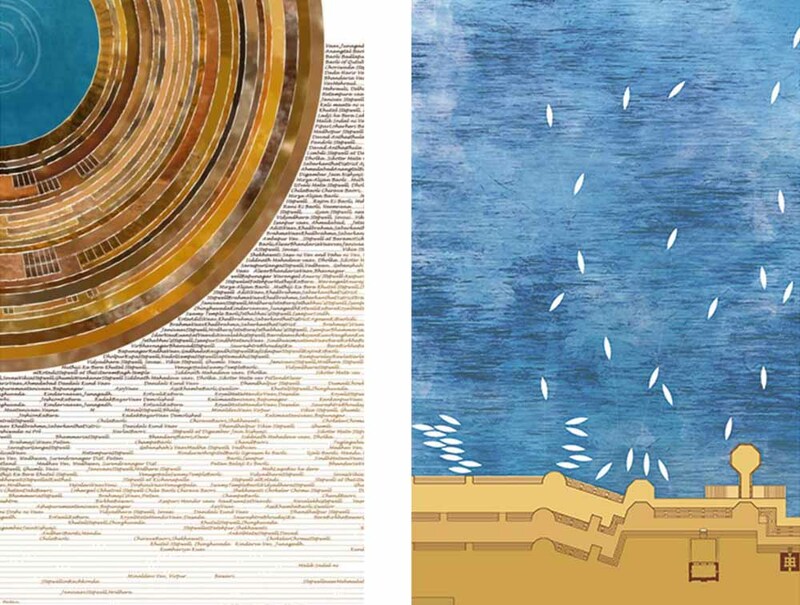 My palm-sized artworks also depict much emotional intricacy and so do my sculptures,” said Maity. I was happily surprised, when Sunaina Anand, gallerist, collector, and Director of Art Alive Gallery, who has been associated with Maity since more than 15 years, revealed Maity’s Ahmedabad plans, “We are so proud to announce that the versatile and disciplined artist will soon be presenting his first solo exhibition at Kanoria Centre for Arts, Ahmedabad, in February 2018. 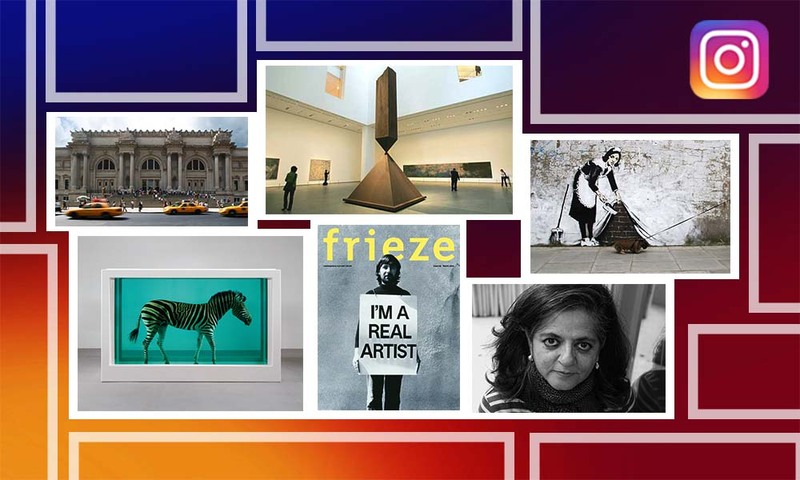 Visual art connoisseurs of Ahmedabad can expect to see some unseen masterworks by Maity that have never been exhibited before.” The Delhi based Art Alive Gallery has previously worked with celebrated artists, including SH Raza, Jogen Chowdhury and K.S. Radhakrishnan. It has, till now, drafted more than three books on Maity’s contribution to the art fraternity. Paresh Maity – who draws inspiration from works of Picasso, Rabindranath Tagore and folk arts of India – makes big artworks on big canvasses using big brushes, has bucked the trend with his paintings – a diversion from the Bengal School of Art style – which narrates an extremely heartening poetry.